At the heart of the nearly 40 mile Nanticoke Heritage Byway corridor is the pristine Nanticoke River, one of the mid-Atlantic’s best preserved waterways. At 64 miles in length, the river begins in Seaford and travels through Delaware and Maryland before arriving at the Chesapeake Bay. The Nanticoke River is the longest tributary of the historically significant Chesapeake Bay. The Nanticoke River was the catalyst that spurred settlement of the region by the Nanticoke Indians, originally known as the Kuskarawaoks. Translated as “people of the tidewater,” Nanticoke Indians were excellent hunters and farmers who inhabited the area along the Nanticoke River in what are now towns of Seaford and Laurel. Their presence in the region predates European exploration, but recorded history begins around the early 1600s. Post European settlement, the region’s economy thrived with shipbuilding, large tracts of timber and agricultural exports. Sussex County was connected to markets in Baltimore, Philadelphia and Wilmington by stagecoach, ship and eventually railroad. The arrival of the railroad into Sussex County was championed by former Delaware Governor William Henry Harrison Ross. The 40 mile long Nanticoke Heritage Byway connects visitors to the past of the First State, on a scenic and historic journey through Sussex County. Visitors immediately get a sense of this history when entering he Byway from the north at the Hearn & Rawlins Mill. Located on Hearn’s Pond, this historic resource operated as a grist mill in the late 1800s. 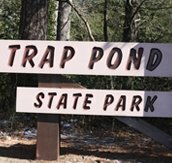 The southernmost point of the Byway, Trap Pond State Park offers visitors the chance to enjoy picturesque scenery just east of the Town of Laurel. Between these two gateways, the Nanticoke Heritage Byway loops through Seaford, Laurel, Concord, Woodland, and Bethel. Along with the numerous historical viewing opportunities, visitors can also take advantage of the many options for recreation while traveling the Byway. 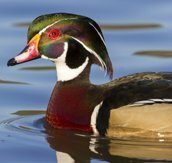 Hiking, cycling, birding, boating and many other water-based activities are all possible while visiting the Nanticoke Heritage Byway. While travelers may arrive in their vehicles, there are numerous chances to get out and explore this wonderful and unique region. To ensure visitors are able to enjoy all of the sites that the Nanticoke Heritage Byway has to offer, the Byway has been divided into five distinct “discovery zones. “These zones assist travelers in developing their itineraries, and help guide visitors along their journey. These unique “discovery zones” are: North Seaford; Seaford Proper; Woodland/Bethel; Laurel; and Concord. With nearly 40 miles filled with interesting sites, recreational opportunities and countless history lessons, the Nanticoke Heritage Byway is a true gem on the Delmarva Peninsula for travelers, history lovers and outdoor recreation enthusiasts form throughout the mid-Atlantic, and beyond.